Ever have one of those days when your frustration comes face to face with your peace? You know, when you do all that you know to do, and you still don’t know how to get where you want to be, whether it be financially, relationally, or professionally? When you trust and believe with everything inside of you and you’re left with more question marks than answers? Like no matter what you do, it’s not now nor will it ever be enough? Any of you every experience that or just me? NEWSFLASH: We’ve ALL (yes, Every. Single. One. of us) walk through these days. The ones that will put you flat on your backside. Those days where you feel abandoned, discontent, tired, anxious, or disappointed with where you are. We all have those moments when we look up to our Daddy and with desperate hearts cry out things like: “What are you doing?, Where are you at in this?, Why am I not hearing you or seeing you in this situation?, How did I get here?” The last several months of my life have been filled with much growth, much strength, much supernatural grace and joy, but also so so many of these moments. I have been faithfully praying and trusting God for direction-walking softly but boldly in The Lord, and literally all I am getting from the Lord is “Be still.” “Position Yourself, Stand Still, and Watch.” and “Wait on the Lord.” Like seriously, I hear or read one of these verses at least 10 times a week. In case any of you are wondering how to know if you’re hearing from the Lord ^^ good indication that you are. I’ve learned that while God does whisper, He is also consistent and patient, so He will remind you of what He’s already said so many times. So this past week, I took a “me day.” A day to focus on nothing. A day to relax my mind and rest in His goodness. A day to just be quiet. And you know what, IT. WAS. HARD! So often, we become so wrapped up in the day to day routine that we forget that the God who created the universe, designed us to rest. My daily life consist of work and church mostly– both good things, but good intentions don’t always lead to the pathway of peace. Several verses have been resonating within my spirit this last week, but most of them point my back to this one question. Where do I find my sustenance and stability? Or to ask it a different way– What is the source of my joy, my strength, my hope? What is my anchor point? Psalms 1:3 says “He (the blessed man) is like a tree planted by streams of water that yields its fruit in its season, and its leaf does not whiter. In all that he does, he prospers.” Or to quote it from the passion translation (one of my most favorites): “They will be standing firm like a flourishing tree planted by God’s design, deeply rooted by the brooks of bliss, bearing fruits in every season of their lives. They are never dry, never fainting, ever blessed, ever prosperous.” My prayer for you, for me, for us is that we learn to anchor ourselves to the one who is able to sustain us in every season. The one that shines brightly and saturates us even in the desert, even in those dark moments of desperate cries for a move of God. I pray that we all become so anchored and rooted in Christ that we will bear fruit, life giving, life changing, chain breaking fruit in EVERY. SINGLE. SEASON of our lives. My prayer for us all is a face to face encounter with the overwhelming love, grace, mercy, and power of God. I’m learning that life comes with a lot of unknowns, a lot of questions, a lot of steps by faith. So take that step. Make that decision. Face that unknown. Do it –fully knowing that you are fiercely loved, forever pursued, passionately protected by a God who can handle your questions, guide your steps, and lead you to your destiny while you remain at total rest in who He is. So…. my sweet friend, are you willing to trust Him that much? Is your heart free enough to look fear in the face and proclaim the truth of God? Are you willing to let down those walls, learn to rest, and fully put your faith into a God that you sometimes can’t see or feel, but that is waiting for you to relinquish the control that you think you have, to the hands of the ONE that can give, meet, and abundantly fulfill every desire? Be free. Rest. Sit Still. Listen. He’s whispering. He’s here, even now. Right now… He’s calling your name, beckoning you to draw in close and tether yourself, your faith, your future to His unrelenting love! You can let go. It’s safe here, in this place, with Your Father. Get lost in His presence today. Rest in His goodness today. “When your dreams turn into disappointments, learn to doubt your doubts. ” A lyric the Lord gave me just the other morning, as I cried my way through worship songs on the way to work, again! I’m 28 years young–no where close to where I always thought I’d be at this point in my life. Still unmarried. Still without my own house. Still living pay check to pay check, waiting. Waiting to step into my ministry. Waiting to move forward to that next chapter. Waiting for My Mr. Wonderful. Waiting to step into my calling and fulfill whatever it is that the Lord has placed on my life. And you know what? I’m tired of waiting. I’m tired of being lonely, and waiting for the next thing to come along and move me forward into my future. I’m done. Sick and tired of putting on a fake smile and faking peace as I wait, once again, upon the Lord to move this mountain of disappointment out of my way. I’m tired of waiting on people to validate me. I’m tired of waiting on a marriage or even a ministry to give me significance. I’m tired of allowing the amount of money I make define how I view my success or value in the work force. Quite frankly, I’m tired of feeling like a chess piece, strategically trying to make moves to achieve victory in this game of life. I am so over feeling this way, So I’m done! You see, what happened to me 5 months ago is that I began to see myself as something more than broken for the first time in 15 years. I am fearfully and wonderfully made. A royal priesthood. A child of THE King. I KNOW that God has put something huge inside of me. I see it. I feel it. I sense it in the spiritual. I am a part of an anointing, powerful enough to change a generation for Christ. God has placed something inside of me bigger than I can even understand–Something that the enemy wants so badly to destroy, that he will not relinquish his quest for my heart, my attention, or my mind. But he DOES. NOT. WIN. Do you hear me? Do you really hear me?!?! SATAN DOES NOT GET ME, MY FUTURE, MY MINISTRY, MY DESTINY, MY MAN, OR MY PEACE! Period. I belong to God. I am HIS. And ALL authority on Heaven AND Earth belong to HIM. And while my thoughts aren’t His thoughts, I surrender my will and my life to HIM, and therefore my desires come from HIM and He will finish what He has started. I’m safe, because He’s faithful. My peace isn’t found in how I feel, what I see, what others say, or even in my abilities. My peace is found in the one who calms the seas. If you notice, in that story about the storm, Jesus didn’t rebuke the sea. He spoke to the sea and rebuked the wind. Jesus rebuked the source of the storm, not the effects of it. The same is true in me. My circumstances, the storms surrounding my present self–those aren’t the real enemy. It’s he who lies beneath those circumstances, the one who desires to steal, kill, and destroy. Satan wants nothing more than to steal your joy and your future, kill your vision/dreams, and destroy your impact in the kingdom realm. So I ask you brothers and sisters– Can we learn to walk in faith over fear? Can we learn to trust in who we belong to more that in how we feel? Can we learn to fight from a posture of standing still? Can we as a body begin to fight the real enemy with the real weapon? Can you as an individual learn to doubt your doubts? Because that’s where the waiting becomes “worth it.” As we long for God to move. As we long for Him to fulfill the desires of our hearts. As we learn to trust Him more than how we feel. As we begin to put our confidence and our dreams in His hands. As we learn to fully surrender all of ourselves, that’s where warriors are formed. That’s where victory happens. That’s the place where we learn to expect the supernatural, and we live in the promises and the freedom that Jesus died to give us. It’s in those seasons of waiting, that we are refined and transformed. I don’t want a mediocre life. I don’t want a mediocre marriage, ministry, or church. I want to learn to love people to death; Death of their fears, death of their diseases, death of their heartbreaks, and death of their selfishness. I want to learn to love them to life; the abundant life that God has promised all of His children. So here I am, 28 years young, no where close to where I thought I would be in my life plan, But so much further along in my spiritual walk than I was 5 months ago. Unmarried, but preparing myself for a kingdom shaking marriage (babe– just know you are covered in prayer and we are going after God with everything we’ve got). Without my own house, but still with a roof over my head, snuggled up in my bed, getting excited about the fact that the home the Lord has for me will be one of such peace and freedom. Living pay check to pay check, trusting that the Lord is teaching me to be a good steward with little, so that He can bless me with much. Choosing to live everyday in ministry to people. Learning to read each page of this chapter with care, so that I can learn and grow and prepare for when (not if) the Lord does move me into my next chapter. Because He will not leave me here, and His Word promises me that no weapon formed against will prosper. Not one. So adjust your focus friends. Change your posture. Don’t beg God. Ask Him and trust Him with your disappointments. Rise up, you who long to be warriors of Christ. Stand in your identity. Position Yourself. Stand Still, And Watch God fight for you, with you and through you. Your story isn’t over! Oh, and Satan… Checkmate. You LOSE! Well actually, I should say, “Aint He done it!” Let me just start by saying, THANK YOU! For those who have been praying for me and encouraging me over the last several months, thank you so much. The Lord has moved so mightily in my life, I can hardly contain it. My heart has been so overwhelmed by the spirit of God, and I know that is because so many of you have been praying for me so fervently. So thank you! My last post was a culmination of several years worth of hurts and frustrations finally coming to the surface all at once, and an event forcing me to really come to terms with myself, my priorities, my desires, and my emotional/spiritual/physical self. Notice, I said “my” a lot. You see, I’ve been so focused on what I don’t have, that I’ve struggled walking in confidence that God has a plan and a purpose for my life, far greater than anything I could ever think or imagine. More than I could ever hope for. Better than I could ever dream possible. Bigger than my imagination. Wow. What a beautiful and powerful God I serve. I am His daughter. I am LOVED beyond measure. I am worthy. I am accepted. I am wanted by THE GOD of the universe. I am fearfully and wonderfully made. There is a plan and a purpose for me that I, and I alone, have been created to fulfill, so, I AM SIGNIFICANT. Knowing this in your mind is one thing, but accepting this as a truth and learning to walk in it is not easy if your focus is on anything other than the source. My source is my Abba Father. The one who created me. The one who has sustained me. The one who shows up in the darkness whispering the truth of life. The one who can breathe life into any situation, any stronghold, any fear, any insecurity. My God, My dad, my sustainer, the fulfiller of all of my dreams– HE is my source. He is where my strength, my validation, my affirmation, and my identity is rooted. This world does not define success for me. It will not give me significance. Only God can do that. People cannot validate my faithfulness, only He can do that. My job does not make me significant. God does. I don’t have to be anything more that what I am. I am a child of God, which means, I’ve already overcome this world. By the grace of Jesus. By his stripes. By his mercy. By His strength. YALL– there is so much freedom in this truth. SO MUCH FREEDOM! I could scream it to the world. There’s so much power in the name of Jesus. I AM FREE and who Jesus sets free, He is free INDEED. Storms of life will come, but my foundation is the cornerstone. I am firmly rooted in the hand of my Father, and this world, people, or situations will not break my foundation. The gates of Hell will not prevail against anything God has spoken. I refuse to give Satan power in my life. God has already spoken. He has already healed us. He has already given us victory and freedom. We need only to learn to live in rest; knowing that God has already given us EVERY SINGLE thing we need to not only live, but to live life abundantly. Walk in that truth. Receive it. Believe it. Walk in it. Give us knowledge to know the magnitude of your love for us, and that you accomplished everything we could ever need on that cross. Help us know that you are our source. You are THE WAY, THE TRUTH, and THE LIFE. You are faithful. For those you have called, you have qualified, equipped, and justified. You are all knowing, all powerful, and ever present. You are sufficient. Your grace is enough. Your love is enough. Your WORD is enough. Help us all realize who you have created us to be. Thank you for your revelation. Thank you for your faithfulness. Thank you for the fulfillment of the desires of my heart. I choose to walk in that victory, even now, while waiting on the manifestation of what you have already spoken. You are such a good God. Move your children into truth and victory in every area. It’s in your powerful and holy name I pray. “In the darkness, even your shadow leaves you.” I saw this today, and it struck a nerve within me. A deep ache in my heart came pushing back up to the surface with the reminder that depression is a battle that exist deep within my soul– one that at times controls me. A counselor once told me that depression is when the past superimposes on your present, and anxiety is when your future superimposes on your present, both leaving you unable to just be in the present. Let me start by saying, I am a Bible believing, holy ghost believing, miracles still happen today kind of Christian, BUT I AM struggling to hold my head above water most days. I’m not sure if it’s just a long extended season, or if God is just trying to teach me something, or if I have allowed Satan a part of my mind that I don’t know how to get back. To be honest, it’s probably a combination of all three. People frustrate me with their “words of encouragement.” I’m so sick of hearing those cliche phrases that are meant to uplift me, but actually leave me feeling more discouraged. The truth is, unless you’ve ever battled the spirit of depression, you do not understand what someone is feeling or how to help them out of it. The reality is, we don’t know how to feel better. I have prayed. I go to counseling. I stay in my Word. I involve myself in serving others. I attend a women’s Bible Study. I try to eat right and be healthy. I try to ignore the urge of isolation and surround myself with people that love me. I denounce the lies of Satan whenever I feel them seize my mind, and yet… Here I am. Still depressed. Fears that keep me insecure during the day, keep me up at night. I even know the primary source of my depression- Rejection. People who struggle with rejection are their own worst critic. We see every flaw within ourselves, and when someone chooses to not be a part of our lives, for whatever reason, somehow, it’s something wrong with us. Thus the battle of comparison and the downward cycle of placing other people’s opinions over what the creator says about us to be true begins. I never feel good enough, or worthy enough, or like I’m valuable. I’m at a point now where I almost expect failure in relationships before they even begin. You see, when you are where I am emotionally and mentally, people wanting to be in relationship with me becomes difficult, because they are unable convince me that I’m anything more than what I think of myself. And the worst part about it is that I don’t know how to fix it. I don’t know how to change my opinion of me. I don’t know how to break the cycle. I’ve done all that I know to do. So I wait. I choose to get up. I choose to go to work. I choose to keep doing all that I know to do. I’m waiting. I’m desperately waiting on God to move in me and change my heart, because I know that only He can. I don’t need more self help books, or another half thought out cliche to try and pick myself up out of this. I need a divine encounter with the one who created me, one to remind me of who I am in Him. I need the holy spirit to speak so deep within my soul as to rewire the fabric of what I’ve become. I need people in my life, who see my heart, who know my gifts, who understand my intentions, and who will fervently pray for me. Pray for my broken heart, because this is the most broken it has ever felt. Pray for my contrite spirit. Pray for my wounded perception of God’s view of me. Pray for me to find joy in the little things. Pray that God’s truth will speak louder than the lies of satan. Pray for a miracle. Don’t tell me I need to get better or I deserve better. Pray for me and ask God to move. Ask Him to do whatever it takes to break this curse in my life so that I can be made whole again. Pray objectively for me, when I can’t. For anyone who is here with me, no matter where you are, please hear me when I say, You are not alone. Even when you feel like you are. You aren’t. There has to be a reason for you to keep going. Don’t quit. You do matter. Hold on. One moment. One day. One week at a time. Please hold on. We are all walking through something. Coming from one crushed heart to another. We have to keep going. I choose to believe, as I hope you do, that there is a light in this dark season. His name is Jesus and unlike our shadow, He is still with us in the silent, scary, misunderstand darkness. And I AM NOT ALONE! My heart is shattered, but I am not alone. I feel rejected, but I am not alone. I don’t know how or when this is going to get better, but I am not alone. I am so frustrated, but I am not alone. I am tired and worn out, but I am not alone. I’m afraid, but I’m not alone. NEITHER ARE YOU! 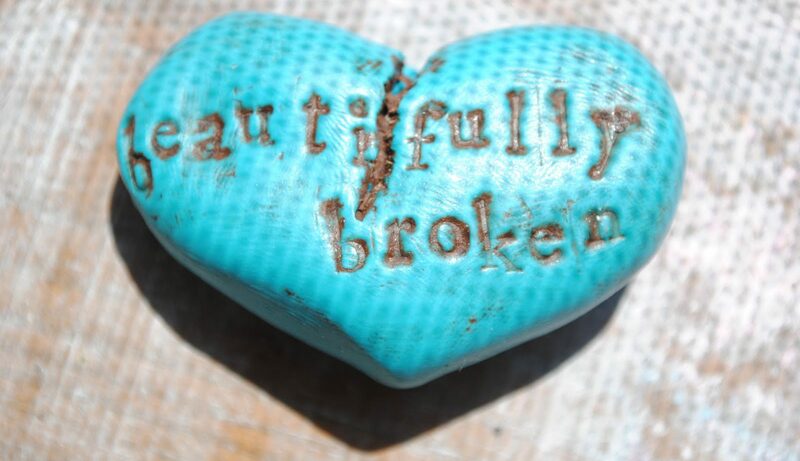 I pray that you heal the brokenness in my heart. You know my weakness. You know my fears. You know my desires. You know the state of my mind. I pray that you hold me. I pray that you hold close any person that can relate to the battle expressed above. I pray that you speak truth in the midst of the lies of satan. Be close to anyone who is losing this battle. Remind us that you are God. You are in control. Not us. Remind us that you are good, that you are faithful. Help us find joy in the daily things. Help us be forever thankful. Help me trust you in the midst of the deepest parts of my heart and mind. I pray for victory. I pray for a miracle, for anyone who has prayed this prayer. Can we please stop doing church and become the church?!?! I was 14 the first time I was introduced to the poison that is causing Christianity as a whole to become weak in America. I believe that it is flooding and killing our churches. “You can’t hang out with her, she wears pants, and she’s worldly” is how I remember hearing it. I was a 14 year old little girl, who had been in church her entire life (but was not saved yet), completely naive to this concept of “worldliness” and “legalism.” Too young to understand the condemning spirit that exists within people who claim to be the hands, the feet, and the mouths of Jesus; and to be able to separate it from how Jesus actually sees me. I was so oblivious to the battle that would rage on within me for years to come. And if I’m being honest, probably the largest struggle I face within myself on a day to day basis to date. Let me preface this by saying, legalism and conviction are not the same thing. I know some dear, God fearing people, that have loved me well and have likely prayed for me more than any other human being on this planet; who live very strict, very conservative lifestyles–but they are the exception, not the rule. They are the ones who can welcome the “sinner” into their homes without making them feel judged or unloved, because they don’t live the same way. These are the people who will sit in an alter and pray with you for hours on end, just to hear from God, because they love you and believe in the power of prayer. They are the ones you can call at 3 am when you are battling Satan in a way that the average “everyday Christian” won’t understand. For these people I am eternally grateful. But… For everything God ordains, there is a counterfeit. Legalism is the counterfeit to conviction. I’ve spent the majority of my saved life (10, almost 11 years) in constant comparison to someone. I’ve lived my life wanting to be someone else, because I was not ever good enough. In my mind, it didn’t matter what I did, I was/am still that worldly little girl that “real christians” shouldn’t hang out with. I’ve spent 10 years begging God to tell me to do a, b, or c, just so that I could fit in somewhere, just so I could be like these people. I have longed so deeply to be a part of these certain groups of people only to be left feeling condemned or unworthy. What is really bothersome to me though, is that I don’t believe most people intentionally make others feel this way. At least I hope they don’t. I believe legalism takes root in the mind and eventually penetrates the heart, and a person becomes so bound by this chain of legalism that they genuinely believe their doing good for a lost world. It’s been within the last year or so that God has began drawing a line in the sand between conviction and legalism, so I’m still learning. Conviction is powerful thing. It permeates your soul, your thoughts, your heart, your spirit. Conviction will bring forth change if we’re seeking the holy spirit. It will light the path to Heaven. There is no denying it’s source. You see, if the God of the universe is powerful enough to open a sinner’s eyes to the fact that we need a savior, HE is certainly powerful enough to bring conviction into a person’s like to make them more like HIM. Legalism puts God in a box, where we, as HIS children, are unable to relate to or love completely those who are different from us. It isolates us from the rest of the world. Granted, we are called to be in this world, but not of it, but, we are also called to be the salt of the earth and the city on a hill. God’s Word does not contradict itself. It is inspired, holy, pure, unadulturated truth. Here is where people like to argue the whole “we don’t have the original bible in its language, we have man’s interpretation of it.” I agree with this to a point, BUT, God’s word is truth. All of it. God is sovereign enough to give us the parts we need to make it to Eternity– through Jesus. Either you believe the Bible in it’s entirety or you don’t. We cannot pick through which parts we want to apply to us and which we do not. To do so, would be to cheapen the gospel and weaken it’s foundation. We must read it and try to understand the significance of what we do have and how to apply it to winning souls to Jesus. Now back to my point, God does not need me to try and fix the sinners I come in contact with, mainly because I am one of them. He does not need me to point out their many failures or struggles. He does not need me to explain to them how to dress like Jesus, talk like Jesus, walk like Jesus, and smell like Jesus. When did loving Jesus become about a list of rules? When did it become about what I can do in my power to be different. The pharisees looked at scripture that way. As did the sadducees. The disciples, however, did not. Collossians 2 talks about how we as Christians do not have the strength to will ourselves to righteousness (trust me, I’ve tried). Instead, we must be led by the Holy Spirit. The New Testament is full of truths about grace and mercy. It’s the story of the bridge God created for us to Eternity. It’s beautiful, and it’s simple. The gospel is so simple. Relationships require sacrifice. They require change. When you get saved, things should be different. The way you dress should be modest. The way you speak should be upright, pure, and gentle. The way you behave, should be proof of a heart change. To be alive in Christ is to die to ourselves. When we become saved, we become a new creation- one that yearns to be like Jesus and to live for HIM– but that can look different for different people. We are all called to reach someone, somewhere, in some stage of life. Who are we to decide, what “rules” our brother or sister should be following, when we truly have no idea what or where the Lord is leading them? When did we stop trusting God to be God and change his people? He changed me, and if you’re reading this, I hope He’s changed you. If you’re truly saved, then you’ve seen, felt, and tasted the power of God, so why do forget that HE is still able to change hearts, and trust Him to do so? Maybe we should just focus on loving each other. Honor the standards that God has set forth in His word for your life. Ask God to convict you in the areas where you may be falling short or legalistic, and let us, as the Church, just preach the Gospel. We focus so much on our doctrines and our perception of scripture, that people are dying and going to Hell, because they feel they’ll never measure up to the standards that many are shouting in the name of Jesus. Hold each other accountable to God, but instead of focusing on all of the outward, Let’s start shouting to the world that JESUS LOVES YOU. YOU ARE WORTHY. YOU ARE UNDERSTOOD. YOU ARE WELCOME HERE. WE LOVE YOU! If we can “catch em’, God can clean em’.” I am still convinced that love will always defeat hatred. Right will always defeat wrong. Light will Always defeat darkness, and GOD WILL ALWAYS DEFEAT SATAN. We need to get over ourselves and learn to put our personal convictions in their rightful place (HONOR YOUR CONVICTIONS ALWAYS, but do so while loving others), and figure out a way to love a lost, hopeless world to Jesus. If we can’t do that, we must reexamine those convictions and find the foundation of them, because it we are professing Christians, then that foundation should be God, which according to scripture, is the definition and meaning of LOVE. “Every day is a good day, Some are just better than others.” It’s a phrase that I try to live by, because there is a lot of truth in that statement. EVERY day is truly a blessing from a good and Holy God–one that should be cherished and not wasted. We should all seek to live everyday like it’s our last, because it potentially could be. But what about those “not better” days? How can we as Christians seek to glorify God, when it takes every bit of strength we can muster up, to put our feet on the floor? What about “those days” when hiding from the world seems more appealing? What do we do on those days? How do we move forward on those days? How do we grow closer to the Lord and push others towards Jesus on those days? The answer is simple, not easy, but simple. You get up and you do it. You face head on whatever it is that is standing in your way. Why? Because we have to. So here is what I did. I got up. I went to work. I even managed to do my hair and put make up on– that in itself is a miracle– just ask my coworkers. 🙂 And yes, I cried some today. I had bad moments. But The Lord still showed up. He still reminded me that I’m loved. He even allowed me to spend some time with a dear friend of mine– a lady involved in the Bible Study that I have the privilege of leading. This friend reminded me that God has a plan and a purpose for my life and my hurts. She reminded me that she sees Jesus in me everyday, even on “those days.” She reminded me that it’s okay to hurt, because God can use our heartbreaks, our questions, our fears, our failures, and our disappointments for our good and His glory, if we will allow Him to. We as children of God don’t have to be afraid of “those days” because Our God, our Father, Our Friend is bigger than any circumstance that comes our way today or tomorrow. And He’s already working them for your good. So let me encourage you today. Be like David– run towards your Goliath– knowing that Your God is bigger than any weapon formed against you. Trust God to hold you and guide you. Be patient and wait on God to deliver your victory. Because it’s already promised, confirmed, and signed in blood. It was finished on the cross. And trust God. You don’t know how He’s going to take the circumstance you’re facing and make it work out better than you could ever imagine. Maybe, just maybe, He’ll give you exactly what you want. But sometimes, it just takes time. His word says that He will give you the desires of Your heart if you will delight in Him. So let’s go– feet on the floor, armor of Christ on, and slingshot in your hand. Life is a series of moments.. Take one step at a time. One moment at a time. One prayer at a time. One day at a time. One breath at a time. Finish the race! Finish this day!